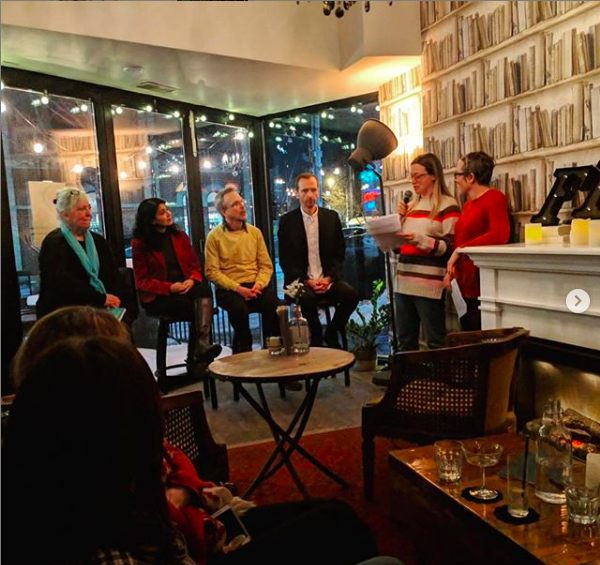 After a long break away from the mic, I co-hosted the January 2019 edition of Junction Reads alongside writer Kate Henderson. It was a very special evening around the fire. Thanks to curator Alison Gadsby for having me! This year, I was honoured to read at the Eden Mills Writers Festival in beautiful Eden Mills, Ontario on the Eramosa River. I read my short story Glass Teeth, a piece about a family in love, in the first set of The Fringe. The Fringe is a series that provides space for emerging writers to showcase their work. My many thanks to the judges and festival organizers. It was a lovely weekend spent surrounded by great literary talent. Thank you to the very kind and supportive organizers of the Slackline Creative Arts Series. The team hosted a warm and welcoming show on Father's Day. I read a piece of creative non-fiction called The Growing Up Season. untethered has welcomed my work once before and I can't thank editors Steph and Nicole enough for giving Ghost Letting a home. After a long hiatus from readings to work on a manuscript, it was hard to get up on stage at the launch. But I lived to tell the tale. The Underdog Poets Academy is a monthly reading series that offers writers a safe and inviting space to read their work. I got to read some old and new poems at their May reading. Underdog attracts an incredible group of poetry lovers and writers. The Underdog Poets Academy features three or four readers and has an open mic segment. untethered is a Toronto-based journal committed to publishing alternative content from emerging and established writers. My short story Shasta was selected for the second issue and I was thrilled to read at the launch. Vol. 1.2 features art from Isa Lausas. A full house at the Monarch Tavern. In FRACTURED: Tales of the Canadian Post-Apocalypse, I found a home for my short story Brown Wave. Thanks to Michael Callaghan, the Exile team, and our editor Silvia Moreno-Garcia. Writes of Passage is a very special poetry series hosted by Sang Kim and WindupBird Cafe. In Writes of Passage, two new generation poets are paired with established poets to collaborate and read on a topic. Canadian poet Justin Lauzon and myself had the pleasure of working with Morton Ritts and Jill Solnicki on the topic of Loss, Death and Mourning. Morton Ritts, Justin Lauzon, Christine Ottoni, Jill Solnicki, Sang Kim at Writes of Passage October 2014. Junction Writes is a community hub for writers living in Toronto. Junction Writes hosts a monthly reading series on the last Sunday of the month at 3030 Dundas West in the Junction. Carrianne Leung, Christine Ottoni, Chuck Crabbe, Jean Baxter and Janet Turpin Myers at Junction Reads September 2014. 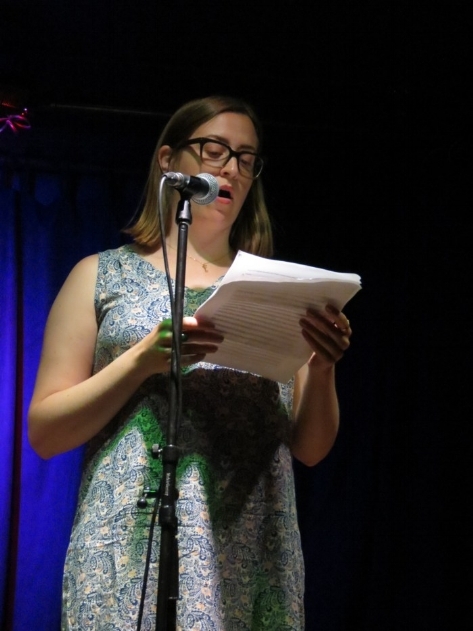 Canadian writer Jess Taylor is the founder of the Emerging Writers Reading Series, a monthly series dedicated to professionally serious, emerging writers. I was a featured reader in March 2014 for an evening hosted in conjunction with Meat Locker Editions.